A reluctant secessionist, Alfred Moore Waddell later became a congressman and leader of the 1898 Wilmington Race Riot. Image courtesy of the North Carolina Collection, University of North Carolina at Chapel Hill Libraries. Colonel Hugh Waddell, great-grandfather of Alfred and one of North Carolina's Revolutionary leaders. Image courtesy of the North Carolina Office of Archives and History, Raleigh, NC. The 1898 Wilmington Race Riot, Waddell wrote, was "a radical revolution accompanied by bloodshed.” Pictured is Waddell, E.G. Parmalee, and armed whites. Image courtesy of the North Carolina Office of Archives and History, Raleigh, NC. Alfred Moore Waddell was born on September 16, 1834, in Hillsborough, North Carolina to Hugh and Susan Moore Waddell. He was the great-grandson of Colonel Hugh Waddell, Brigadier General Francis Nash, and U. S. Supreme Court Justice Alfred Moore, three of North Carolina’s leading Patriots during the American Revolution. He received his early education at William Bingham’s School and Caldwell Institute in Hillsborough prior to entering the University of North Carolina at Chapel Hill in 1850. After graduating from UNC in 1853, he studied under several distinguished lawyers, including Frederick Nash and Samuel H. Phillips, before being admitted to the bar in 1855. He soon moved to Wilmington, North Carolina to practice law. Before the Civil War, Waddell was involved in local and national politics. He supported the American Party in the presidential election of 1856. (The following year, Alfred married Julia Savage; from this union were born two children: Elizabeth Savage and Alfred M., Jr.). From 1858 to 1861, Waddell served as clerk of court for New Hanover County, and as a conservative-unionist he became embroiled in the sectional crisis. In 1860, for example, he served as an alternate delegate from North Carolina to the national convention of the Constitutional Union Party, and in July 1860, he purchased the Wilmington Herald, the leading Whig newspaper in the Cape Fear region, to oppose secession and to promote unionism. When war came and North Carolina seceded and joined the Confederacy in 1861, Waddell reluctantly cast his lot with his state and joined the Third North Carolina Cavalry (also known as Forty-First Regiment North Carolina Troops), serving first as adjutant, and later as lieutenant colonel. At times fighting bad health more than Union troops, Waddell resigned in August 1864 and returned to Wilmington to start a law firm with his father. Continuing his long association with the Democratic Party, Waddell championed the statewide White Supremacy campaign of 1898 in Wilmington. On November 10, 1898, he led, in the words of James M. Clifton, “a radical revolution accompanied by bloodshed” which overthrew the government of Wilmington. 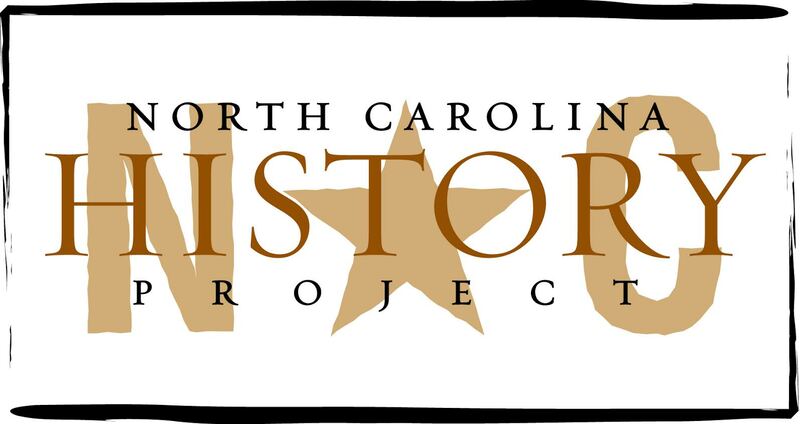 This event has been known as the Wilmington Race Riot, described by Waddell as “perhaps the bloodiest race riot in North Carolina history,” and is now labeled by many as a coup d’ e’tat. Following his revolution, Waddell assumed mayorship of Wilmington and served in that capacity until 1905.A prolific writer in his later years, Waddell published A Colonial Officer and His Times, 1754-1773: A Biographical Sketch of General Hugh Waddell of North Carolina (Raleigh, 1890); A History of New Hanover County and the Lower Cape Fear Region (Wilmington, 1909); and Some Memories of My Life (Raleigh, 1908). On March 17, 1912, Alfred M. Waddell died in Wilmington and was buried in Oakdale Cemetery. Samuel A. Ashe, Cyclopedia of Eminent and Representative Men of the Carolinas of the Nineteenth Century, Volume II, North Carolina (Madison, WI, 1892); David S. Cecelski and Timothy B. Tyson, eds., Democracy Betrayed: The Wilmington Race Riot of 1898 and Its Legacy (Chapel Hill, 1998); James M. Clifton, “Alfred Moore Waddell,” in William S. Powell, ed., Dictionary of North Carolina Biography Vol. 6 (Chapel Hill, 1996); Jerome Dowd, Sketches of Prominent Living North Carolinians (Raleigh, 1888); H. Leon Prather, Sr., We Have Taken a City: Wilmington Racial Massacre and Coup of 1898 (Cranbury, N. J., 1984); Alfred Moore Waddell, Some Memories of My Life (Raleigh, 1908).